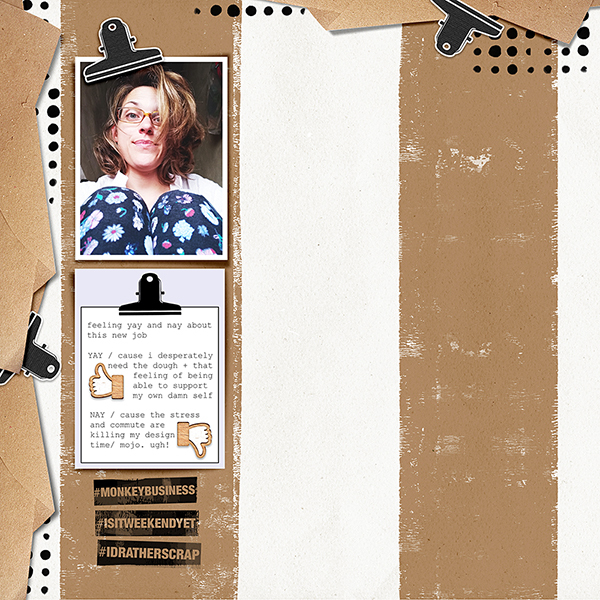 life's getting in the way of my scrap/design time as i adjust to a new working schedule. in a way this release is my protest of refusing to let the system get me down! 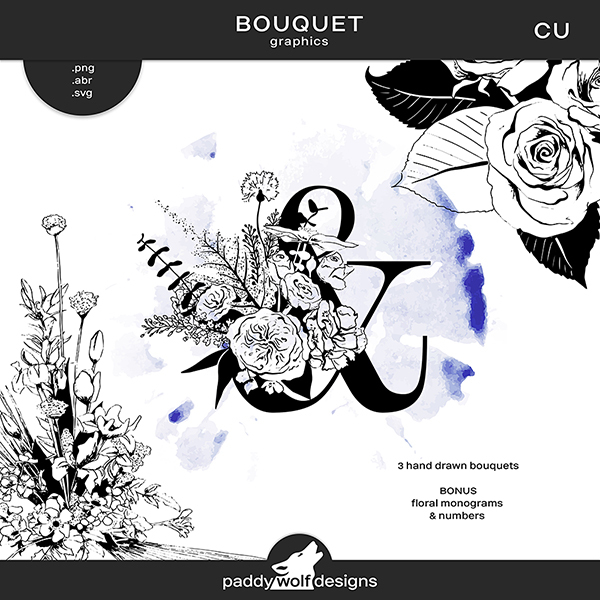 :) finishing at a slower pace, i'm super happy to introduce the world to my latest work -"bouquet"! a hand crafted bundle packed with lushes florals in soft pastels and trendy indigo hues, designed as a "thank you" for a lady very loved and special to me. 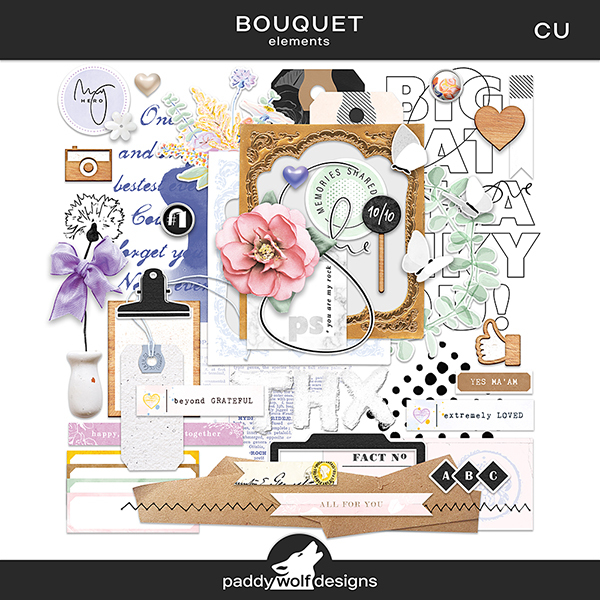 features original hand drawn floral bouquets, cool paint marks and fun extractions, lots of love notes and veneer bits, even a poem! 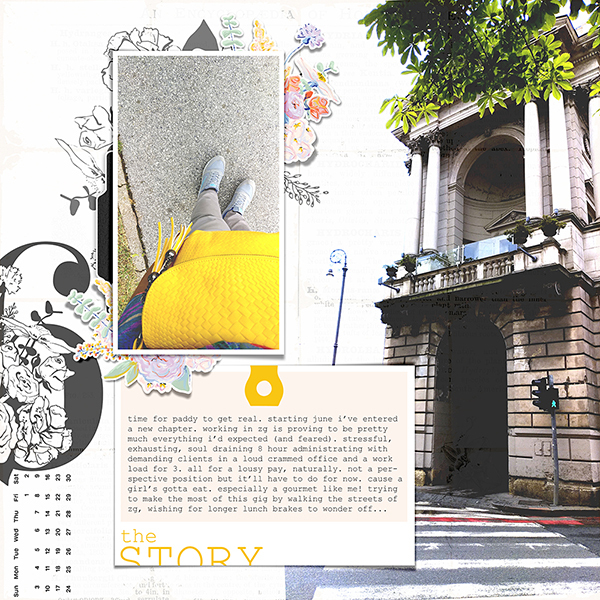 :) carefully texutred, slightly worn and torn to evoke that soft, comfty nostalgia feeling. 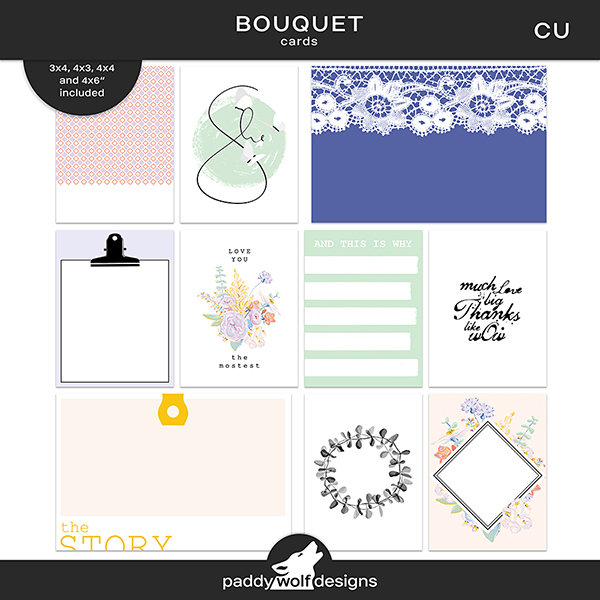 accompanied by matching journal cards in four sizes: 3x4, 4x3, 4x4 and 4x6, all untextured and saved as .png at 300 dpi for optimal printing result. 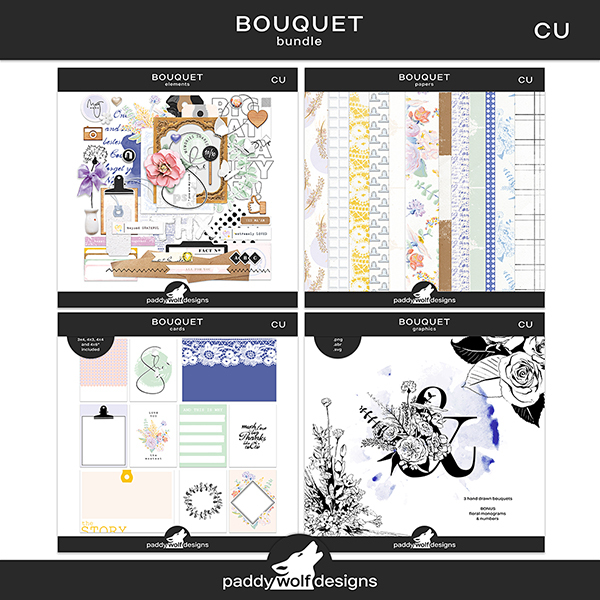 i'm particularly excited about the graphics set containing 3 unique floral arrangements - one fresh, modern spring bouquet, a vintage retro composition and a cool-looking rose bouquet. 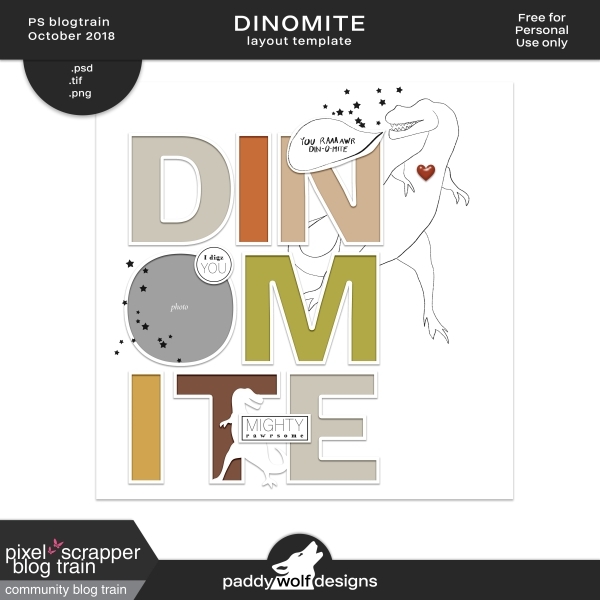 all drawn digitaly by hand and saved as invidual .png, .svg vectors and an .abr brush. 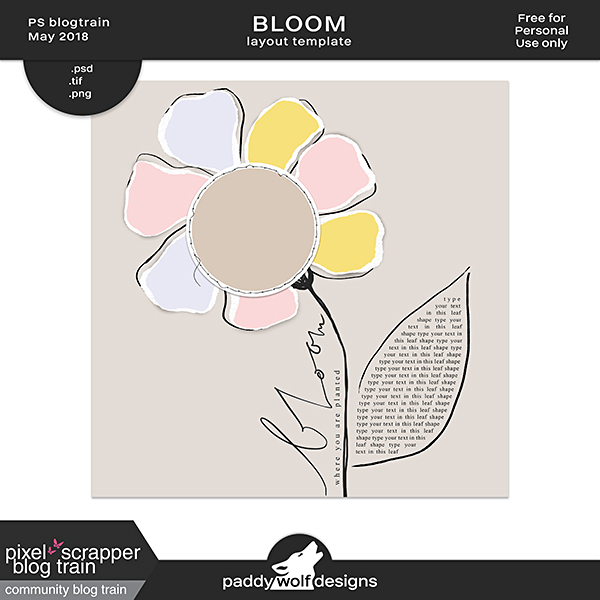 use these to build paper patterns, recolor, add styles and texture... let the blooms inspire you and get creative! 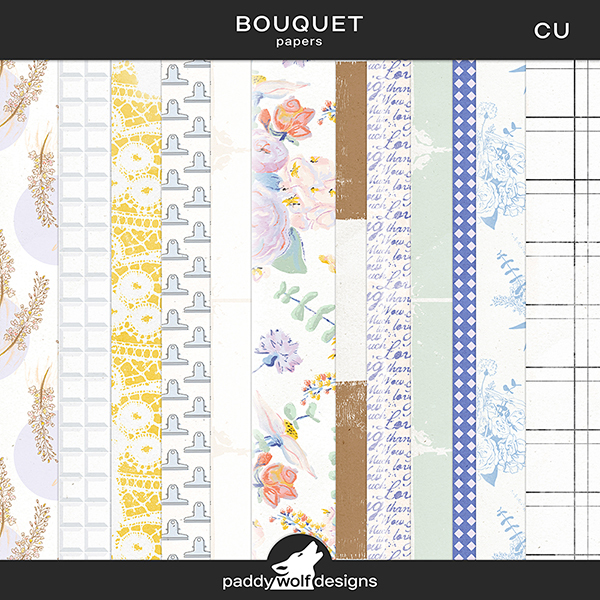 as a bonus i've prepared a gorgeous set of floral monograms and numbers for a quick personalized accent to your project! 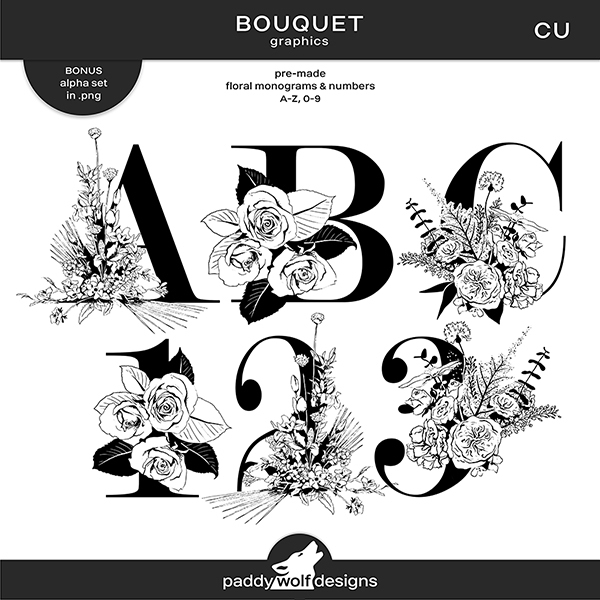 you get blooming letters A-Z, ampersand and numbers 0-9.
all designs come with a generous commercial use licence, so you can use them without worries and craft something awesome, for yourself and your clients! 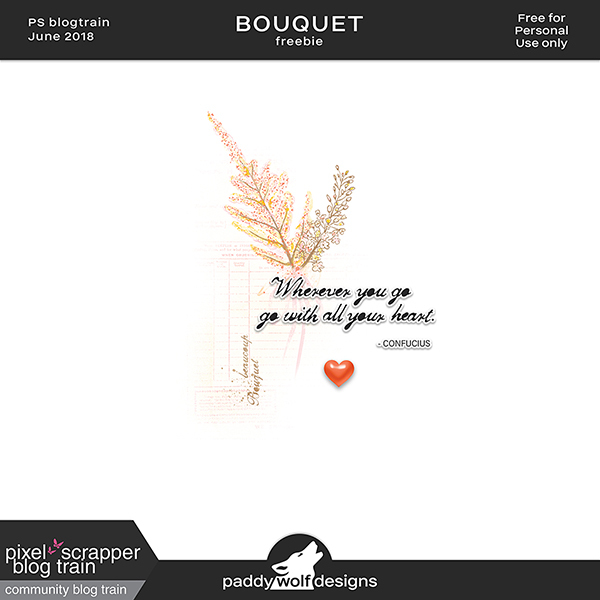 as a way of saying "thank you" to all who follow my work and have supported me on this creative journey, i've selected a little free sampler - a hand painted floral transfer & an inspirational quote to jumpstart your next page. hope you enjoy! wishing you lots of love and pretty flowers... always! This is so lovely! Thank you! i'm glad you like it, lis! :) my darling anonymous, who ever you are - thank you so much for stopping by and totally brightening my day! it's nice to hear someone out there actually reads my ramblings... :D you rock!